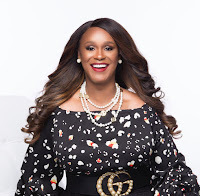 Bridgett McGowen is a published author and an international professional speaker. Prior to launching her public speaking firm, BMcTALKS, LLC, she held positions as an educational technology thought leader and a faculty development consultant with an edtech company and a faculty member for the Texas A&M University System. The number one obstacle I faced in the beginning process of starting my public speaking and presentation skills coaching firm, BMcTALKS, LLC, was knowing WHERE to start. Do I need a website? Should I speak for free? Do I form an LLC? The questions went on and on. I resolved I would take it one step at a time; engage with others who were once similarly situated and who succeeded; and learn as much as possible about business ownership, networking, and marketing. I quickly learned the following: Do not wait for the perfect moment or for everything to be perfect. Take one step, then another, and simply keep moving forward. Since 2002, I have been a professional speaker and have made hundreds of presentations all across the country and around the globe, reaching thousands of professionals in corporate America and students, faculty, and administrators at four-year and two-year universities and colleges. Prior to launching BMcTALKS, I was a faculty development consultant and, I made stops in over 30 states, one United States territory, and multiple countries where I facilitated professional presentations. It was during this time I realized this was what I wanted to do on a full-time basis for myself. In its years of operation since 2016, BMcTALKS is working hard to rival those numbers! Thus far, as the owner of BMcTALKS, I have performed training and development for 28 different companies, educational institutions, and organizations and have presented workshops to more nearly 2,000 professionals and students. While being self-employed means you do not have a day off, it simultaneously means if you want or need a day off, you are free to make that choice. However, it helps that I am an early riser, oftentimes starting my workday at the 2am or 3am hour, so by the time everyone else awakes, I have engaged in four or five hours of work. Although I am very busy, I do not compromise when it comes to being there for my family. And the same goes for friends when they need me. One of my favorite ways to bring balance into my life is, when possible, my family travels with me on my business trips, extending our travel by a couple of days to enjoy each other and the city. No matter how many workshops I conduct, webinars I present, or coaching sessions I facilitate, family birthdays, anniversaries, holidays, milestones, and accomplishments take top priority on my calendar. The Prayer of Serenity is one of my favorite reminders. It clarifies for me that I should embrace all ideas, people, and challenges; make an impact when and where I can; and that I must understand when it is time for me to step back or to step up. Three influential people who help and encourage me are husband and wife power team Damon and Kiala Givehand and my husband, Aaron Hawkins. Damon and I were on a team together at an educational technology company, providing faculty and professional development to professors all over the country. In 2013, Kiala saw me present at a conference in New Orleans where Damon and I were presenting along with our teammates, and she immediately told me I needed to start my own business. I brushed it off, and we had a joke at the time about her surreptitiously purchasing my domain name then, when I came to my senses and decided to open the doors to my company, she would offer the URL to me for a ridiculously obscene amount! Of course, being the amazing businesswoman and all-around incredibly friend that she is, she didn't do that, and we are friends to this day. She and Damon are among my loudest cheerleaders. In short, I could not do a tenth of what I do if it was not for my husband, Aaron. If I want to do something, then he says, "Let's do it!" If I want to change something, then he says, "Let's change it!" If I'm wondering about something, he asks, "What are you thinking?" No matter what plan, pondering, or consideration I take to him, he gives it plenty of thought, tells me what he thinks, and supports me 100%. Period. No matter what. I am so very fortunate and could not ask for a more incredible sounding board, best friend, or partner in life. A BOSS is someone who is not afraid of hearing "no;" not afraid to take chances; not afraid of (or worried about!) the naysayers; not afraid of hard work; not afraid to ask "why;" not afraid to ask "why not;" not afraid to be vulnerable; not afraid to step out on faith; and not afraid to know she's fierce, bold, and talented and that there is absolutely no stopping her.